Campfire cooking doesn't always have to mean sticking hot dogs and marshmallows on a dirty twig. 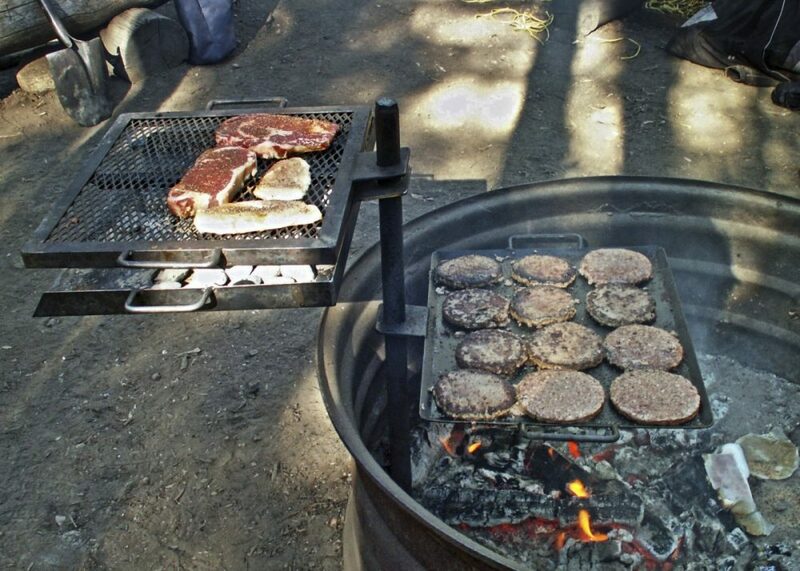 With the right tools, you can cook almost anything over the campfire. Griddles can make breakfasts like eggs and pancakes while steel baskets can hold everything from grilled cheese to corn-on-the-cob. We searched Amazon for the best camping cookware and these 15 awesome accessories were some of our favorite finds. 1. 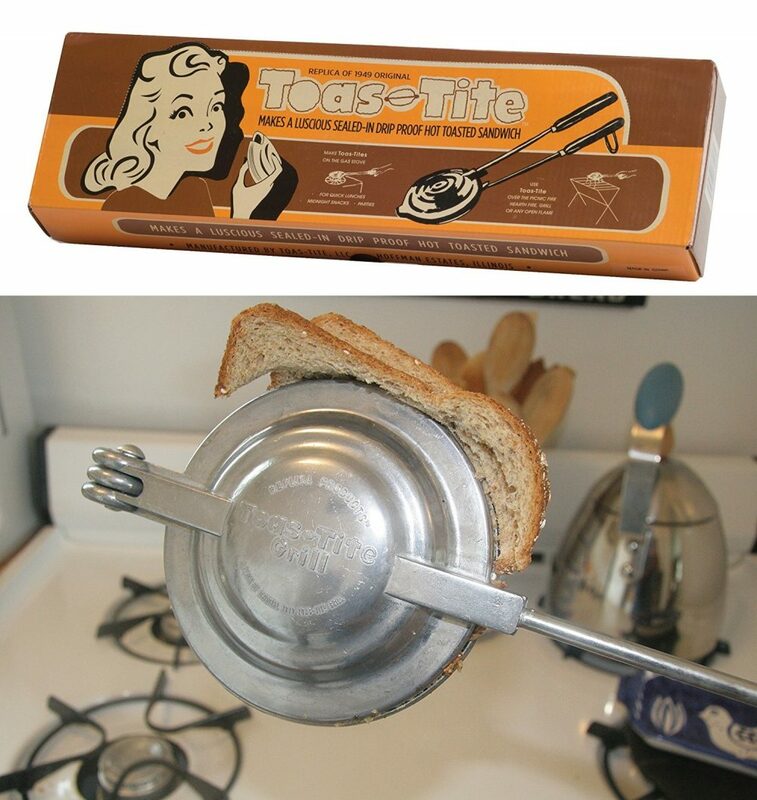 These replicas of the 1949 Toas-Tite Grill make hot toasted sandwiches. 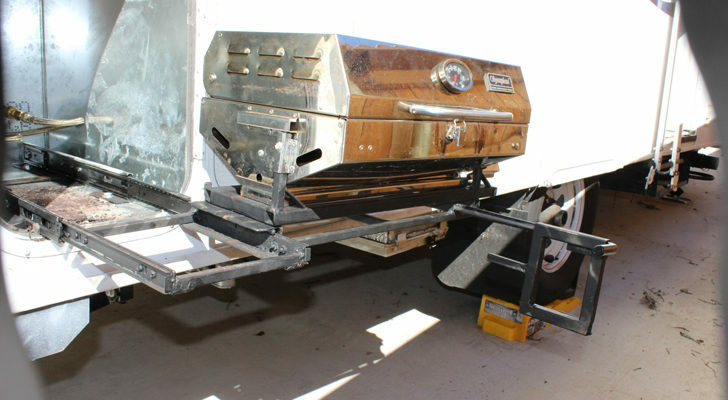 You can use these aluminum grills over the campfire, on BBQs, or gas/electric stoves. They’re a replica of the classic 1949 Toas-Tite and still come in retro-style packaging along with the original recipe booklets. Not feeling a sandwich? 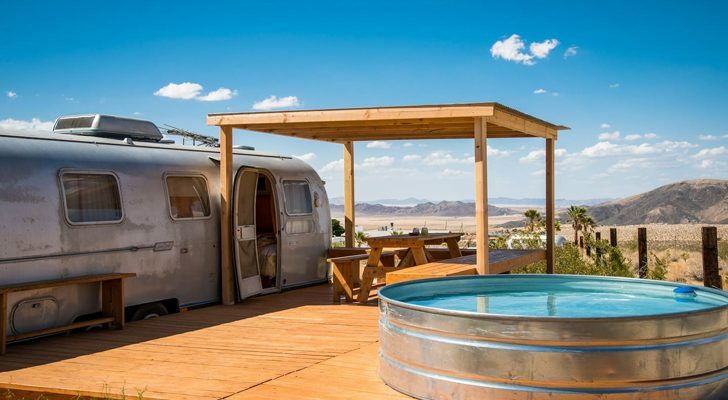 They can also be used to make other dishes and desserts, like omelets, s’mores, and pizza. Check them out on Amazon here. 2. 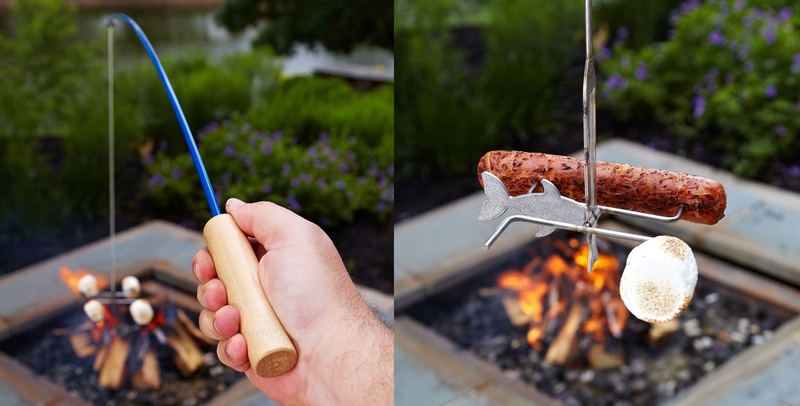 Roast marshmallows (and hot dogs) with these fishing pole roasters from Fire Buggz. They’re easy to use: just slide your marshmallows or hot dogs onto the prongs at the end, kick back, and dangle them over the flame. The roasters are especially great for kids because they have to sit further away from the fire. 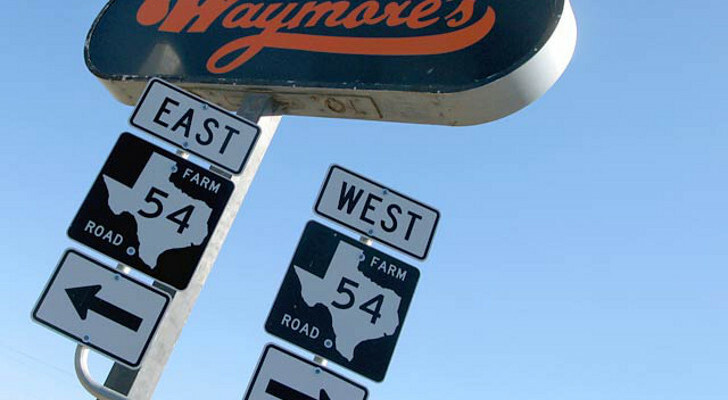 You can find them here. 3. Bake fluffy golden waffles using these Cast Iron Waffle Makers. 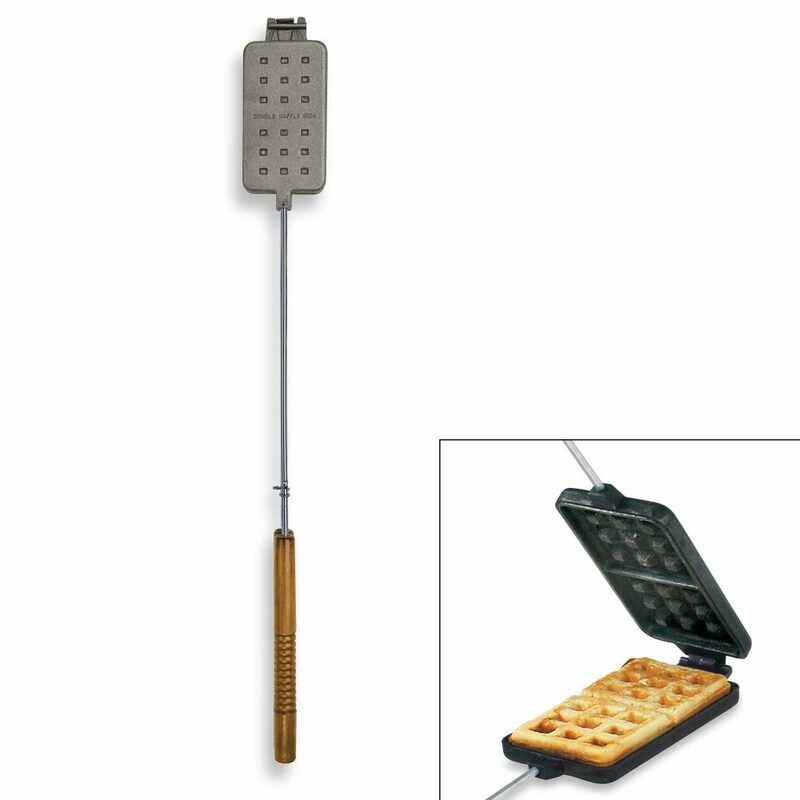 The waffle makers feature a long steel and wood handle to keep your hands away from the heat. Get yours here. 4. Grill up to four ears of corn-on-the-cob at a time with these holders. 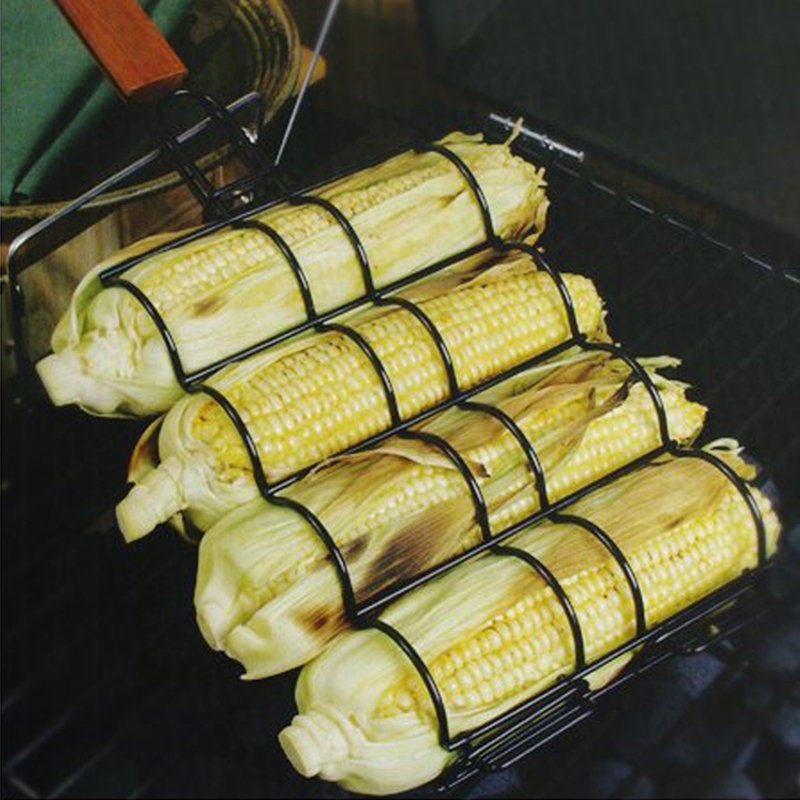 You can use these corn holders over the campfire and on the grill. 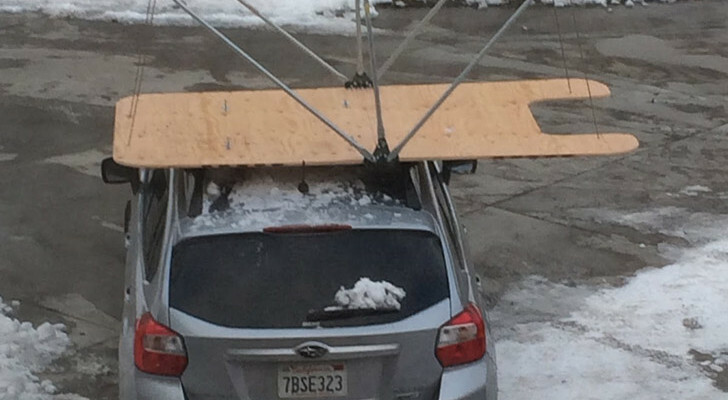 They’re about $15 on Amazon. 5. Use these Camp Griddles for breakfast (because you deserve more than just coffee)! 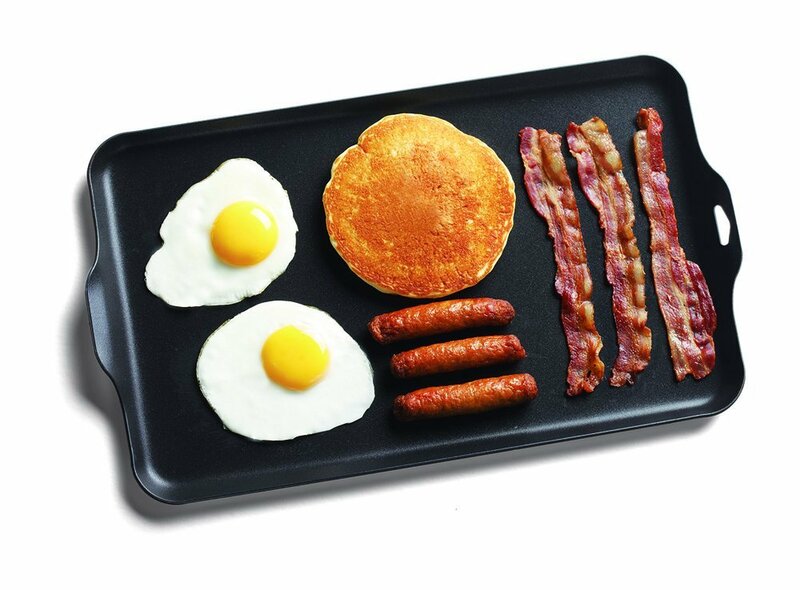 The non-stick surface perfectly cooks foods like eggs, sausage, bacon, and pancakes. 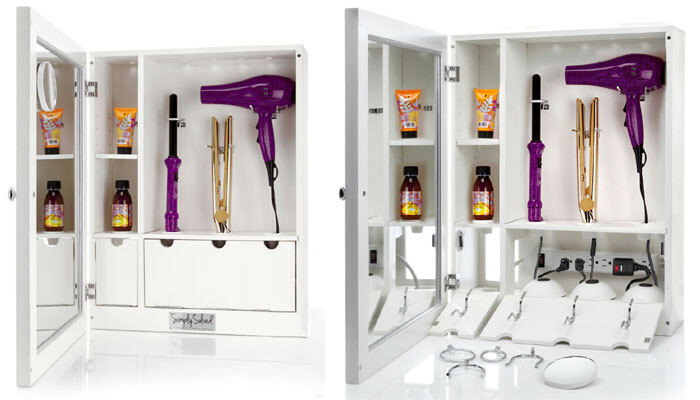 They also have a useful hanging hook for easy drying and storage. 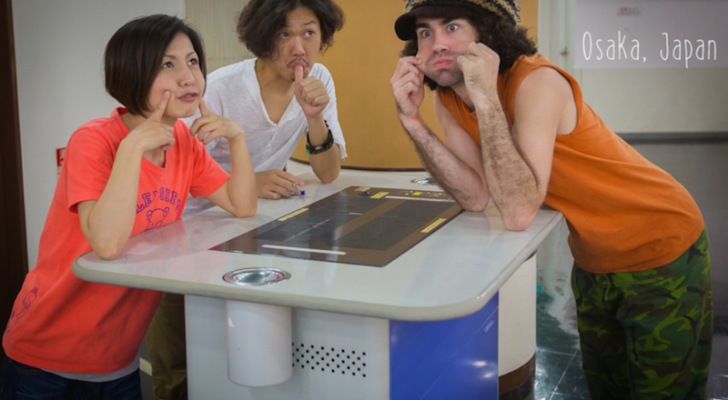 Read more about them on Amazon. 6. 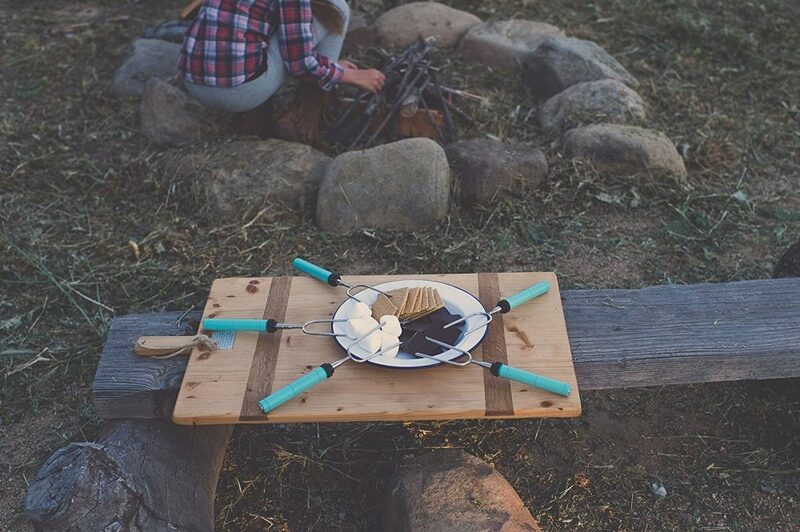 Make the perfect s’mores with these telescoping roasting sticks. These roasting sticks are more sturdy and kid-friendly than using a dirty twig. They’re made with a stainless steel skewer and rotating wood handle. 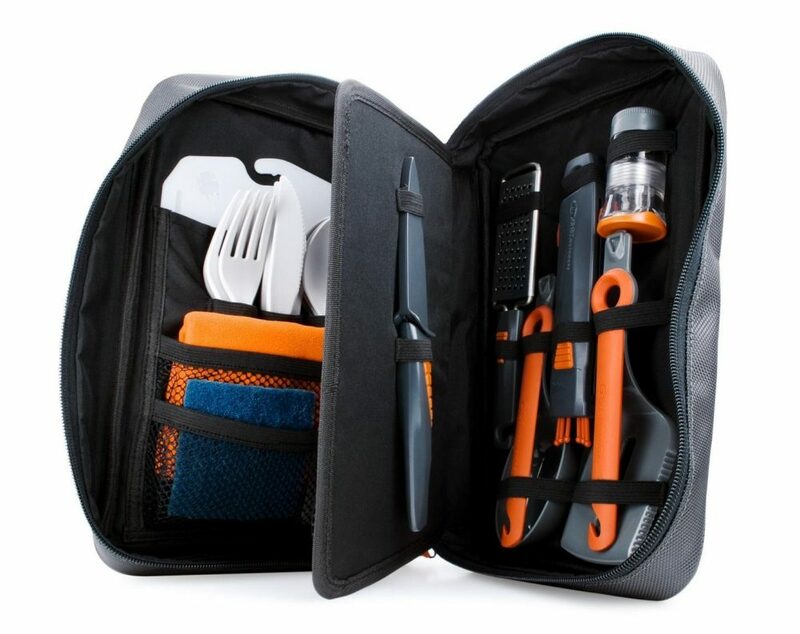 The skewers extend from 10″ to 34″ and have their own bag for storage. They come in a set of 5 here. 7. These quality cookware sets fit in a compact drawstring bag. 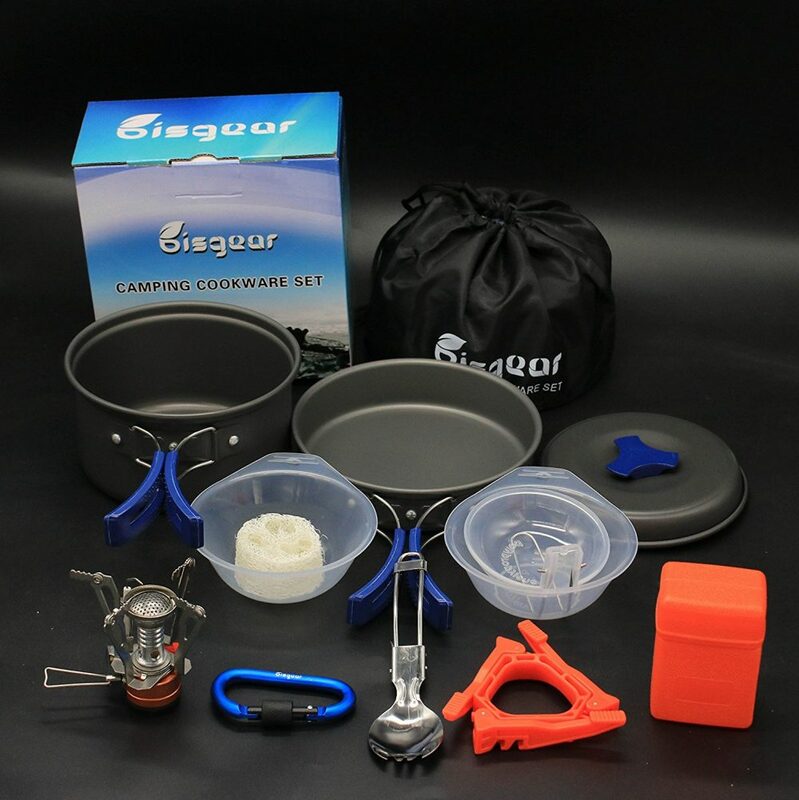 Included is an aluminum pot, non-stick frying pan, folding knife/fork/spoon, a mini stove, canister stand tripod, and other tools like a bottle opener. The cookware is lightweight yet durable, and ideal for backpackers and hikers. You can find both 12 and 16-piece sets on Amazon here. 8. These portable steel grills hold pots, pans, and other heavy cookware. When you’re done cooking, the legs easily fold underneath for compact storage. Find them online here. 9. 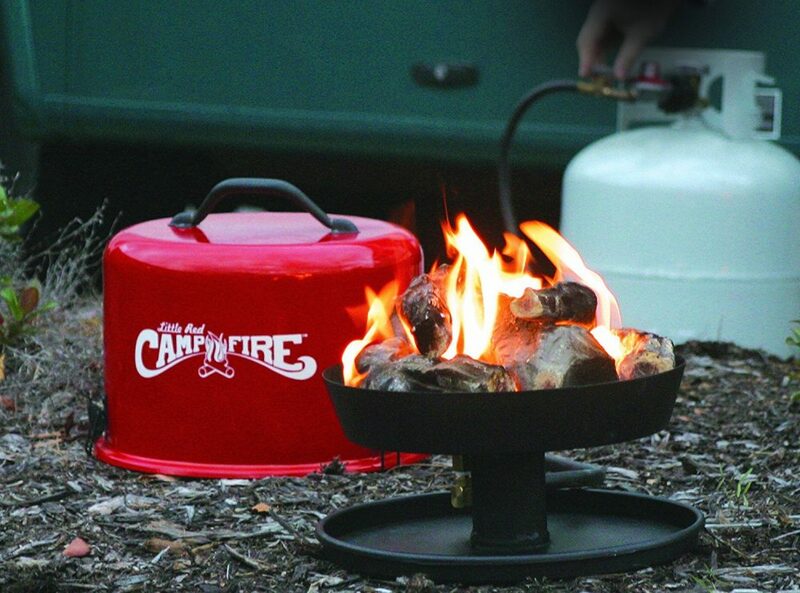 Have a campfire anywhere with Camco’s propane Little Red Campfire. These portable campfires don’t produce any smoke or ash, but still put out a decent flame. They come with realistic-looking wood logs for a more natural feel. You can use them for cooking with their own Little Red Campfire Cooktop. They can also be used in areas where burn bans are in effect. 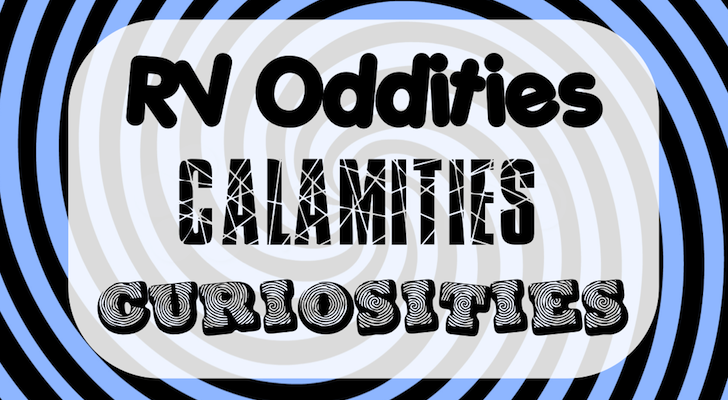 Read more about them here. 10. 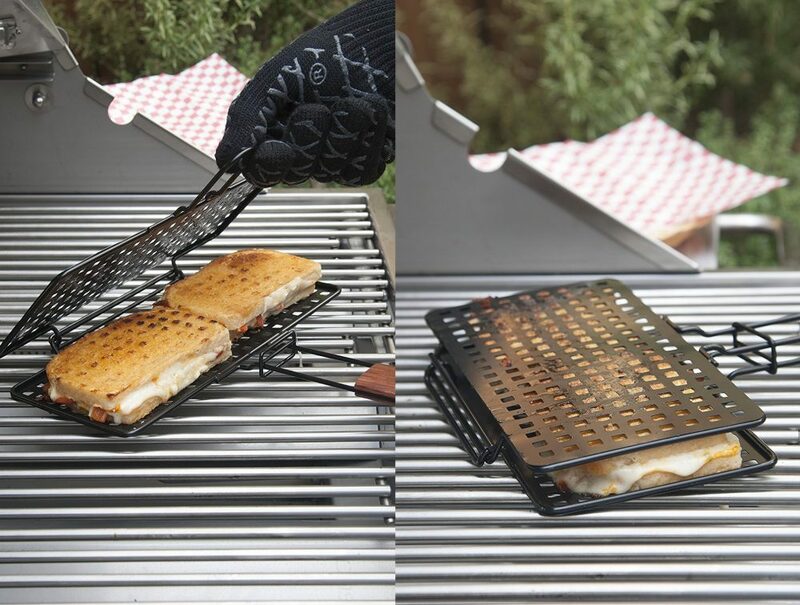 Grilled cheese sandwiches are made easy with these steel baskets. The wide pans can hold two sandwiches at once and feature a non-stick surface for easy clean-up. They’re less than $8 on Amazon. 11. Cook pizza to perfection with these Cast Iron Baking Pans. 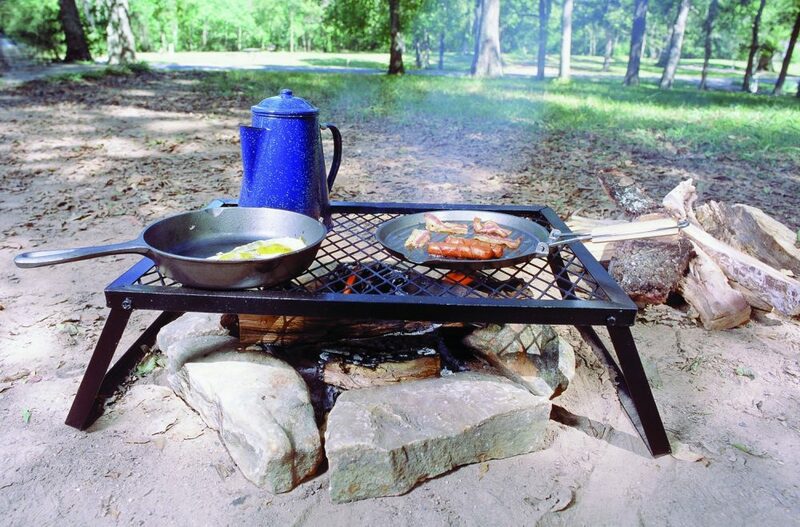 These pans can be used anywhere: at home in the oven, on the stove, on gas & charcoal grills, or over the campfire. They heat evenly and bake the crust perfectly crispy. Aside from pizza, you can also use the pans to roast veggies, as a griddle for breakfasts, or as a baking sheet for cookies or fries. 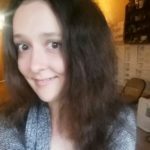 Check them out here. 12. Nearly everything you’ll need for cooking comes packed in this 24-piece set. Four sets of utensils are included, as well as items like a waterproof shaker for spices, sauce containers, a cheese grater, spatula, cutting board, and a washcloth. Read more about the sets here. 13. Roast your hot dogs, sausages, and brats with these cast iron cookers. 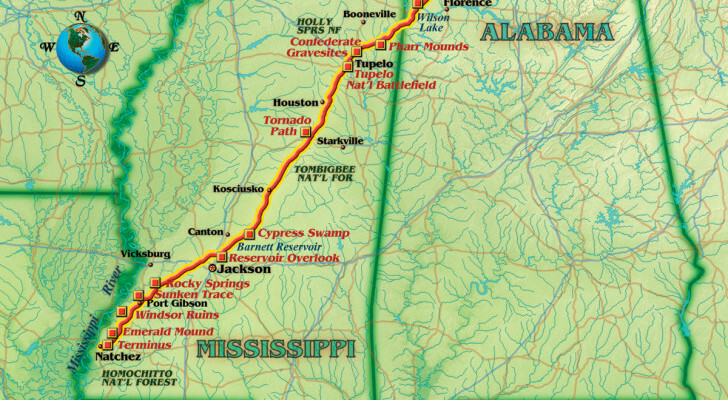 They’ll cook up to three links at a time. 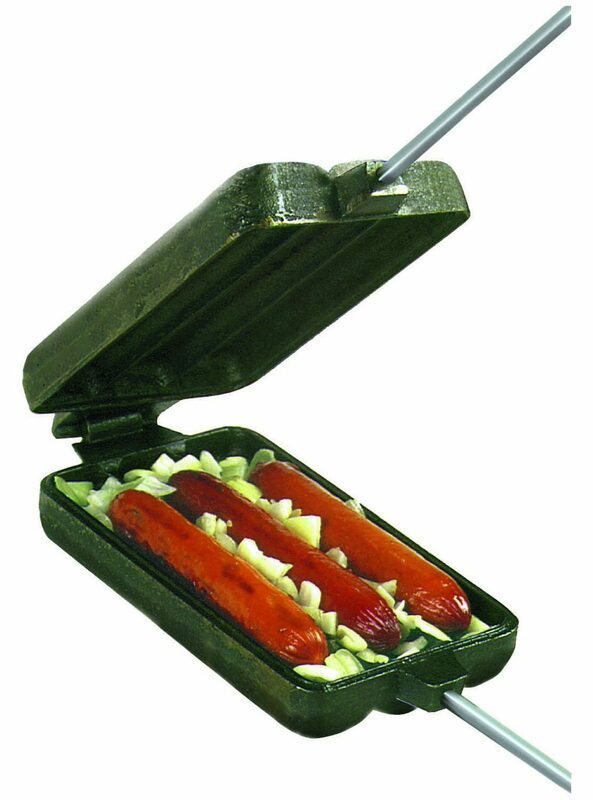 Get the Dog ‘n Brat Cookers here. 14. Coleman’s Popcorn Poppers make up to 2 quarts of freshly roasted popcorn. Just open the lid, throw in some kernels, and they’re ready to hold over the fire. Check them out online here. 15. 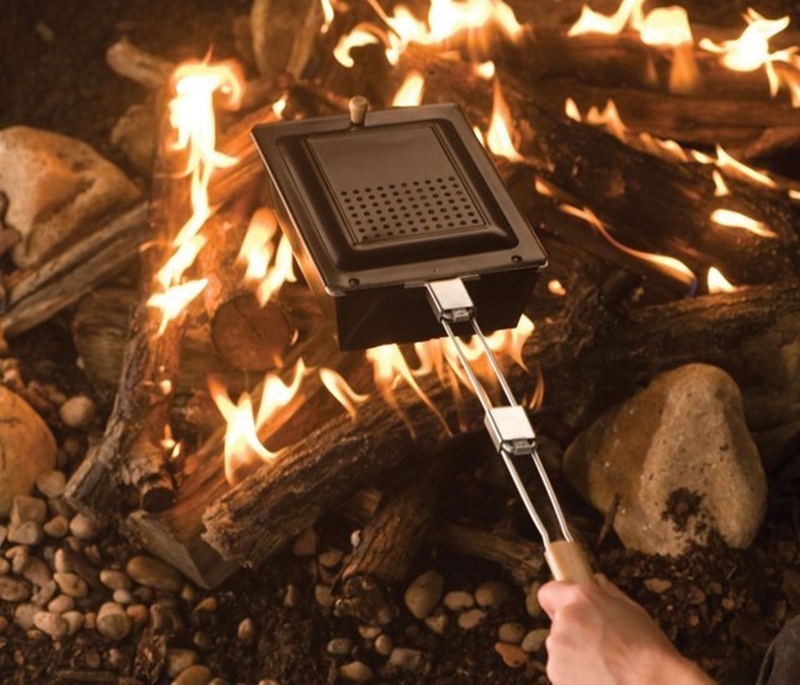 Show off your pro chef skills with these adjustable campfire grills. Stake these grills in the ground and you can rotate them away or towards the fire. They come with a steel grill, steel griddle, and a small charcoal box. You can get them on Amazon here.